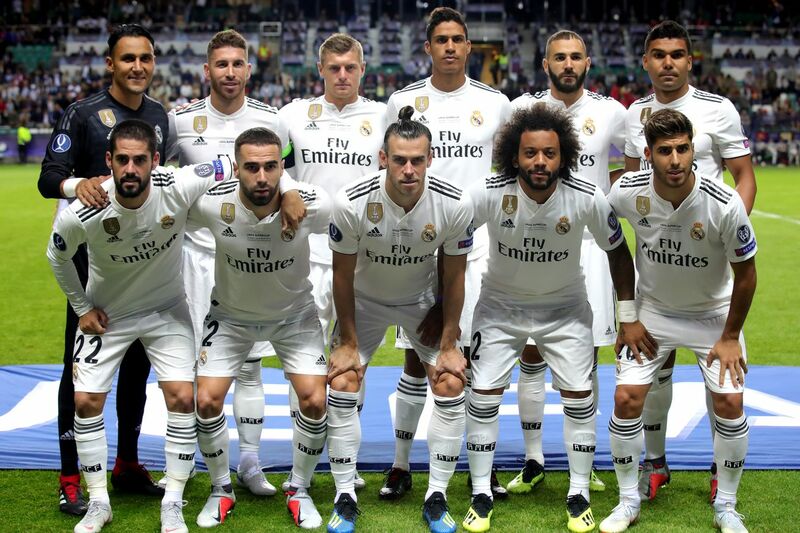 Real Madrid lost the Super Cup in dramatic fashion after a terrible second half and an even worse extra time. The defenders put on a worrying performance. Keylor Navas: 4 - The Costa Rican keeper needed at least a solid performance to contend for the starting spot with Thibaut Courtois. However, he dodged Diego Costa?s shot on Atletico?s opening goal instead of going for the save. He conceded three more goals apart from that one as well. Is this the end of Navas? era as the starting goalkeeper"
Carvajal: 5 - Decent game but not brilliant. He didn?t contribute much offensively but he tried as hard as always. Defensively, Carvajal was decent but required a bit too much help from his teammates a few times. He will improve. Varane: 3 - His mistake on Atlético's game-winning goal just can't happen. It's that simple. Ramos: 4 - Too confident all game long. Just a terrible game from Madrid?s two main defenders. Marcelo: 6 - He was everywhere during the first half and his creativity caused a lot of damage to Atleti?s disciplined defensive system. He?s just an unstoppable force on offense and Madrid will have a hard time replacing his contribution whenever he gets injured/suspended. Wasn't all that effective during the second half.